Is it legal? Does it matter? Discuss it here. I have often posted examples of breaches of the so called tincture rules which occur in the Visitations and this is probably further proof that the rule is possibly not as ancient as we think. It would appear that the heralds at the Visitations weren't too offended by colour on colour or metal on metal and they certainly didn't take the stand that a coat of arms couldn't be a genuine coat of arms if it breached this code. I'm sure that Members can find many more examples. Actually I was careful to write tincture convention. That Bruno Heim, a leading heraldic authority in his day, felt the need to write a book about the subject (and thus to defend his own family's CoA) merely underlines the question-mark that will always hover over CoAs that "break the rule". Some are egregious, such as Heim's own. But the Rafe arms in Martin's post would scarcely raise an eyebrow except among a few purists. In the Nordic countries the tincture rule rules, if not with an iron hand certainly with a strictness that Bruno Heim would have found quite unacceptable. 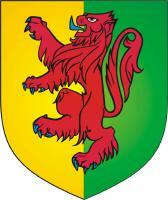 My own (English) arms would be frowned on by some in these parts (gold overlying silver, blue abutting green). Martin Goldstraw wrote: they certainly didn't take the stand that a coat of arms couldn't be a genuine coat of arms if it breached this code. -Not wishing to create a fork in this discussion; but perhaps we should consider what constitutes 'genuine' arms. Personally; I've always looked upon the tincture 'rule' as artistic consideration; nothing more. A say, Argent charge on an Or field would be invisible from a distance; but I don't think any of the above examples would be, (though perhaps the example of Archbishop Heim being slightly questionable. ), therefore in my own opinion; they don't constitute 'bad' heraldry. Consider also the furs; which are considered 'neutral' in this respect. An Ermine field with an Argent charge might be technically 'correct' according to this rule; but it would not be discernable from a distance nor would it be likely to be granted by the Kings of Arms. The tincture rule, or law, or convention, or what-have-you isn't just something that some herald somewhere thought would be a good idea. It serves the purpose of increasing the visibly of shields from across a battlefield, or when reduced to the size of a letterhead. Light colors (white and yellow) do not stand out well against each other, but do stand out well against dark colors (red, blue, black, green, purple) - and vice versa. While the occasional design that goes against this does pop-up, it's just not a good idea for a design, and certainly not a heraldic best-practice. Blue and red juxtposed often works well depending on what charges are involved and their tincture. Take the CoA of the (English) Heraldry Society for example. Black and red is much beloved of the designers/dressers of films on mediaeval themes. The Albanians got away with it, but it always seems wrong to me. Chris Green wrote: Blue and red juxtposed often works well depending on what charges are involved and their tincture. Take the CoA of the (English) Heraldry Society for example. Tincture rule applies, as far as I know, the color of charges (ordinaries, common charges) and the background of the shield. Not applicable division of the field, and is probably a case of arms Heraldry Society (party per cross azure and gules). Tincture rule probably derives from the practical use of coats of arms as distinguishing marks on the medieval battlefield. Therefore, contrasting combinations are preferred - the color and metal. However, the combination red - blue (gules and azure) is one of the more contrast - we can see include in modern road signs. Perhaps such a combination, however, should be allowed? A tincture rule may be used here did an exception? Especially large is the French coat of arms of the two calls. That is how the "rule" is usually interpreted. But in Scandinavia even juxtaposition, as in my example of the (English) Heraldry Society's arms, is considered wrong - which I think is very short-sighted as it restricts design a lot. If gules on or and vert was OK for "the greatest knight that ever lived" then it should be OK for us.